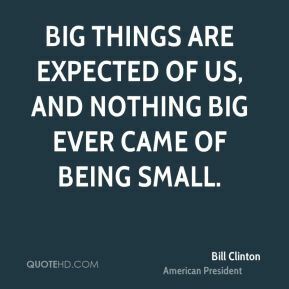 Big things are expected of us, and nothing big ever came of being small. 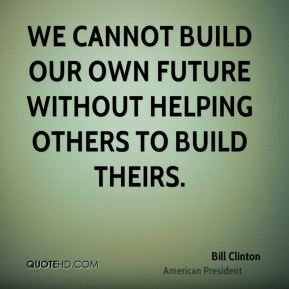 We cannot build our own future without helping others to build theirs. 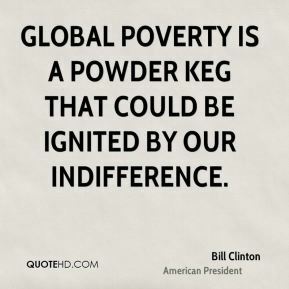 Global poverty is a powder keg that could be ignited by our indifference. 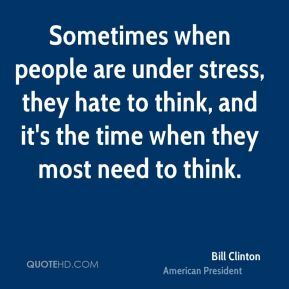 Sometimes when people are under stress, they hate to think, and it's the time when they most need to think. 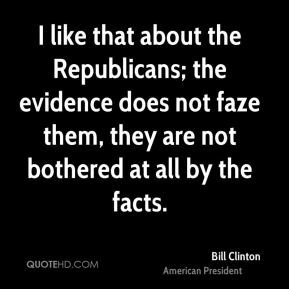 I like that about the Republicans; the evidence does not faze them, they are not bothered at all by the facts. 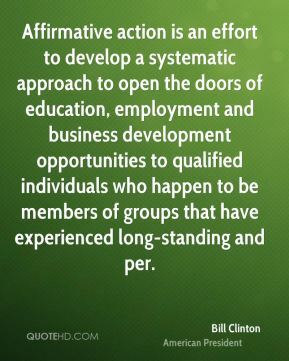 Affirmative action is an effort to develop a systematic approach to open the doors of education, employment and business development opportunities to qualified individuals who happen to be members of groups that have experienced long-standing and per. 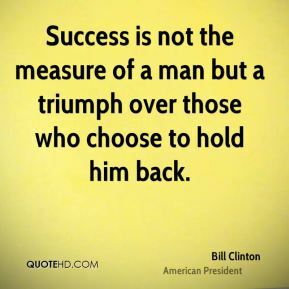 Success is not the measure of a man but a triumph over those who choose to hold him back. 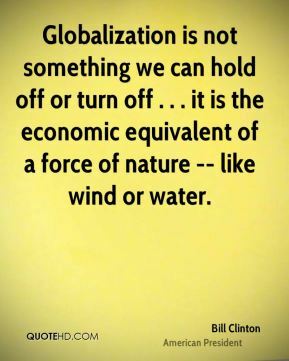 Globalization is not something we can hold off or turn off . 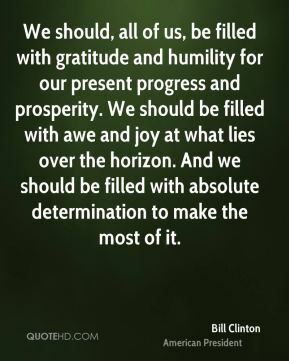 . . it is the economic equivalent of a force of nature -- like wind or water. 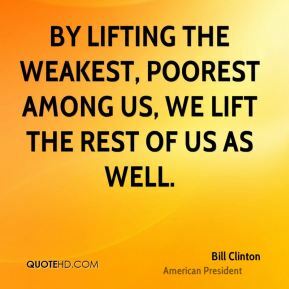 By lifting the weakest, poorest among us, we lift the rest of us as well. 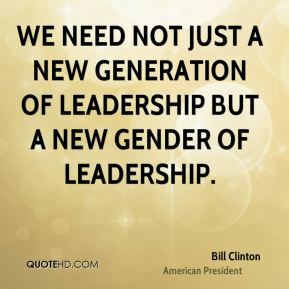 We need not just a new generation of leadership but a new gender of leadership. 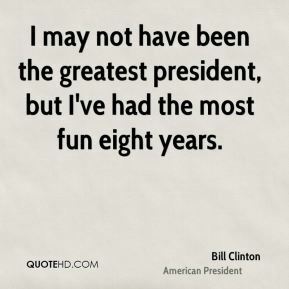 I may not have been the greatest president, but I've had the most fun eight years. 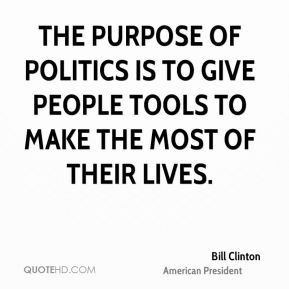 The purpose of politics is to give people tools to make the most of their lives. 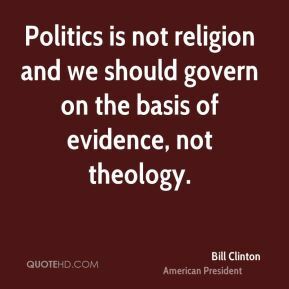 Politics is not religion and we should govern on the basis of evidence, not theology. 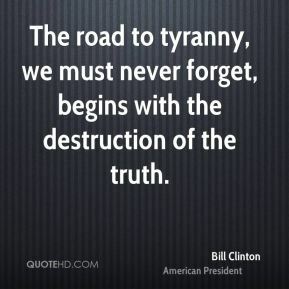 The road to tyranny, we must never forget, begins with the destruction of the truth. 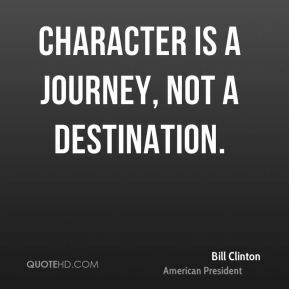 Character is a journey, not a destination. 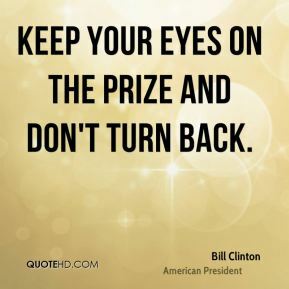 Keep your eyes on the prize and don't turn back. 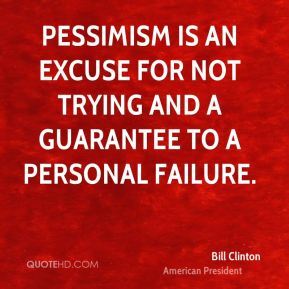 Pessimism is an excuse for not trying and a guarantee to a personal failure. 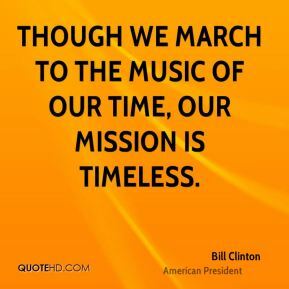 Though we march to the music of our time, our mission is timeless. 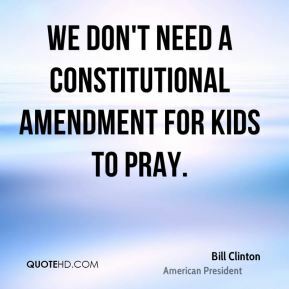 We don't need a constitutional amendment for kids to pray. 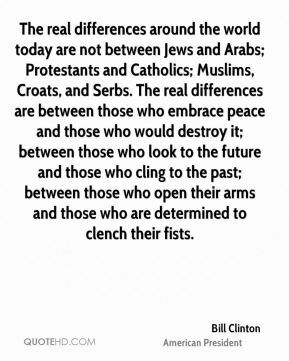 The real differences around the world today are not between Jews and Arabs; Protestants and Catholics; Muslims, Croats, and Serbs. 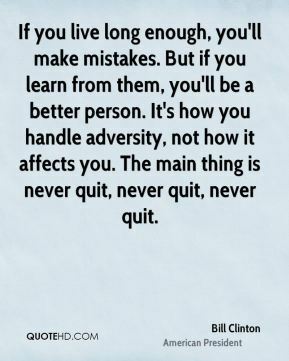 The real differences are between those who embrace peace and those who would destroy it; between those who look to the future and those who cling to the past; between those who open their arms and those who are determined to clench their fists. 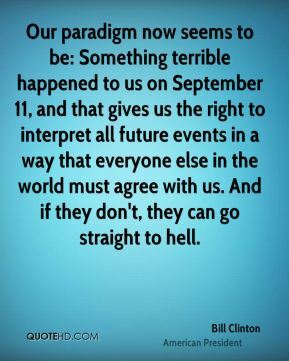 Our paradigm now seems to be: Something terrible happened to us on September 11, and that gives us the right to interpret all future events in a way that everyone else in the world must agree with us. And if they don't, they can go straight to hell. For too long we've been told about "us" and "them." 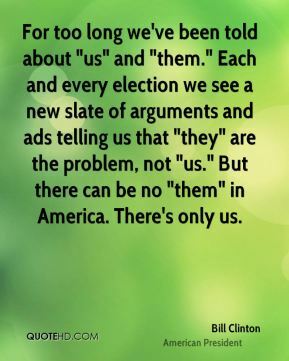 Each and every election we see a new slate of arguments and ads telling us that "they" are the problem, not "us." 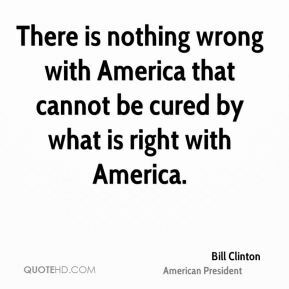 But there can be no "them" in America. There's only us.